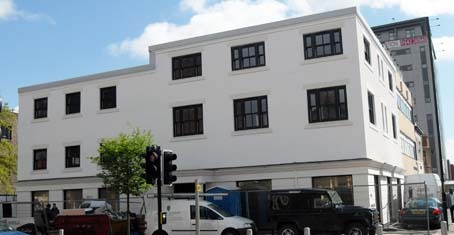 Welcome To Avant Coatings Ltd, exterior wall coatings, masonry coatings and house painting specialists, including all exterior wall renovation, exterior paint application, wall rendering, coloured render, lime render, acrylic render, textured wall coatings, exterior building repair, external wall restoration, wall cladding, brick cladding and stone cladding, cleaning and pointing, contracting throughout the entire UK. Stunning Weatherproof Exterior Wall Coatings, Maintenance Free! Complete with a full written 15yr Guarantee. For more information visit our Wall Coatings page. 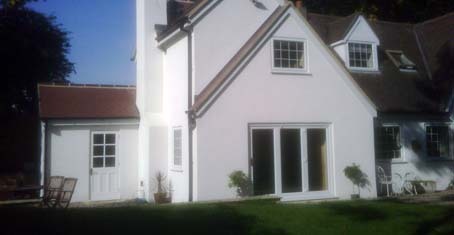 Crack resistant Acrylic Render, provides a stunning flexable finish. Suitable on a wide variety of buildings. See our Rendering page for more details. Textured Coatings provide a solid maintenance free finish. No Chips, No Peeling, No Cracks... 100% Guaranteed! Wide range of colours and textures available. 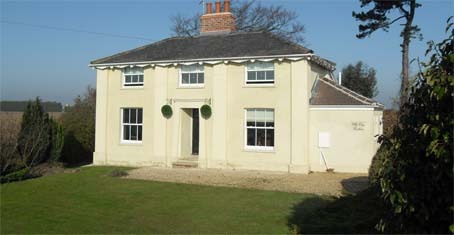 Exterior Wall Insulation (EWI), providing a thermal barrier for solid wall and single skin properties. ONLY 5% VAT on EWI installations, Grants also available! 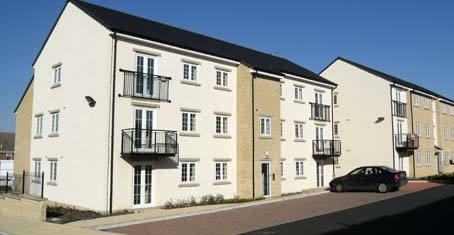 Superior Quality Monocouche Coloured Renders, provide a beautiful maintenance free finish. Ideal on new build and refurbishments. 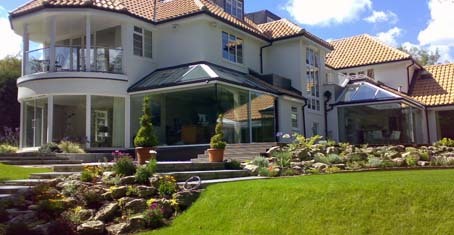 Avant Coatings Ltd are experts in external wall renovation. Our specialist surveyors specify the most suitable materials for our skilled staff to apply. Brick & Stone Cladding can dramatically improve the aesthetics of any building. Almost unlimited range of styles and finished available. See our Cladding page. We repair, maintain, renovate and paint all wall and masonry surfaces including Stone, Brick, Pebbledash, Spar Dash, Render, Plaster, Stucco, pre-fabricated houses, Tyrolean, Harling, Masonry and Concrete. We are a professional, independent, family run company with over 50 years experience in wall coatings, rendering and paint applications for houses and buildings, adopting strong values with regards to quality workmanship and customer satisfaction... We will not be beaten on quality and customer satisfaction! Don't just take our word for it, see our Testimonials, which is full of genuine responses from our customers over the years. We protect, renovate, repair and provide exterior wall maintenance for houses and commercial properties throughout the UK. If your property is suffering from any of the following, simply send us an email or give us a call on 0800 500 3146. We can offer you free residential advice* and one or more solutions to solve your problem. If your exterior walls are suffering from cracked, loose or blown render, we can, restore, repair and protect your damaged walls. This will provide a beautiful finish, offer guaranteed protection from penetrating damp and will stay maintenance free for years to come. Pointing is the visible edge of the mortar joint between the bricks or stone, which provides an attractive finish and protection against the elements. Defective pointing can lead to further problems such as penetrating damp and loose masonry if left unrepaired. We can repair problems such as loose or cracked pebbledash and even replace pebbledash entirely with one of our wall coating systems, in a wide range of colours and finishes (see our masonry coatings gallery for examples). This will dramatically transform a dull old dash to a beautiful new vibrant finish. Damp can be caused by many different problems, such as deteriorated render, inappropriate use of ‘cement render’ on old buildings, defective pointing or failed damp proof course. Damp is easily diagnosed when you know what to look out for, but solutions vary widely depending on the cause. The major causes of blown brick or blown stone is the incorrect use of cement materials when re-pointing such buildings. We offer a brick matching and stone matching service to restore your property’s original appearance. Alternative methods such as brick cladding or stone cladding can be used to restore the walls appearance. In some circumstances, specialist stone render can be used to rebuild stone faces where an exact matched stone cannot be found. The exterior skin of a building whether it be brick, stone, render or paint, is important to the health of the entire structure. Defective exterior walls will result in internal damp, loose masonry, rotting timbers, spalled stone and brick. Very often, prevention is much cheaper than the cure! There is a wide variety of systems available for new build structures, ranging from monocouche renders, decorative acrylic renders or brick and stone cladding. 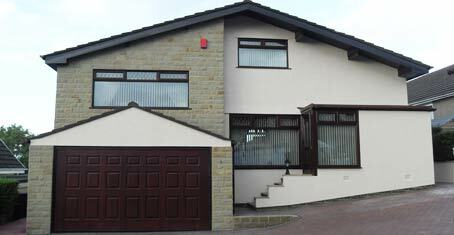 A combination of two systems such as render and cladding can provide an attractive finish. 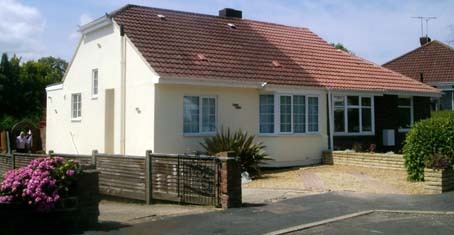 A specification can be drafted to match part of an existing building, for example when applying to a newly built extension. We have had some unprompted responses from our customers all over the UK over the years and we are undoubtedly proud to showcase these on our website. These testimonials are all genuine responses from our customers which naturally reflect our commitment to quality and customer service. Here is one of our recent customers, Tom and Linda. Their house suffered from cracked walls, cracked render and old flaking paint and was in need of a good quality exterior wall renovation. We were actually recommended by friends of Tom and Linda who we helped the previous year. We followed our process, ensuring Tom and Linda were completely happy through the entire process. The finished product: A lovely, maintenance free, exterior wall coatings that will last for decades. Needless to say, we received a lovely letter from Tom and Linda. Visit our wall coatings testimonials page for more of our customers letters and comments. Avant Coatings Ltd is an independent company, able to source our products from the whole of the market. This gives us a specific advantage over those contractually obliged to use a specific brand or companies that claim to develop their own 'exclusive' coatings for exterior walls, because we can and do source the best products on the market for each specific application (not all brands perform well in all applications). These top quality brands spend millions of pounds in research and development of their products, something local applicators who develop their own, from a quality perspective, cannot compete with. We offer a range of bespoke wall renovation systems for almost any type of building, from traditional wall repairs to modern newbuilds. Using specialist equiptment, we can remove existing wall applications and reapply, often different solutions, to produce an outstanding finish. Our exterior solutions consist of Exterior Wall Coatings, Exterior Paint Application, Rendering, Coloured Render, Lime Render, Acrylic Render, Textured Wall Coatings, Exterior Building Maintenance, Exterior Restoration, Brick and Stone Cladding, Cleaning and Pointing. We repair, maintain and renovate all wall surfaces including Stone, Brick, Pebbledash, Spar Dash, Render, Exterior Plaster, Stucco, Tyrolean, Harling, Masonry, Concrete and Rock. If you have an exterior wall in need of renovation, we will certainly be able to provide you with the correct and suitable solution. From the top down our staff are supported and encouraged to perform well. We train our staff, not only in the technical requirements of performing their role, but in helping them become a valuable member of the team, encouraging openness and honesty. As a family run business, we recognise the value of a close and safe workforce, therefore ensure all our staff complete Health and Safety compliance training prior to working on site. All our applicators are fully qualified in their field. We continually monitor our teams’ work as part of our continuous improvements statergy, ensuring each job is completed to the highest standard. The Customer Care attribute of our business ranks the highest priority in our values. We strongly believe, customer satisfaction is paramount. Therefore we have specifically put methods and procedures in place to monitor and improve at every opportunity. We owe thanks to our customers over the years, who have offered honest feedback, which in turn helped us tailor and fine tune our service accordingly. We are always striving to improve, so if you have any feedback, good or bad, please do not hesitate to fill out our feedback form on the right hand side of every page. Alternatively, you can email us or call us on 0800 500 3146. If you are an existing customer and have a query or require assistance, again please do not hesitate to contact us, we will do everything we can to help. description and reasoning, occasionally showing the stages in between. We hope you find this useful. This particular property was clearly in need of a face lift, but the problems were more than just cosmetic. Movement between the property and an extension caused cracks in the walls and incorrect installation of new windows both caused damp in the property. See our masonry coatings gallery page, where we give an overview of each job with before and after pictures. As mentioned in our Service Promise below, one of our aims is to provide peace of mind for all our customers. We achieve this by openness and transparency in our process, so you know what to expect and when to expect it. Part of that process is providing all our customers with the assurance of our no nonsense guarantee. Every customer, upon completion, is provided with a written guarantee for the work undertaken. We are so confident in the products we use and the workmanship of our staff, that we provide a full written guarantee on our applications, giving you absolute peace of mind. In addition to our company guarantee, we can also offer insurance backed guarantees and manufacturer backed guarantees. Here we will take you through each stage of our process, so you know exactly what to expect. We explain, from your first phone call through to work completion, exactly what will take place. This will ensure you have peace of mind and are kept 'in the loop'. "To become acknowledged as the leading wall coating company throughout the UK, while retaining our strong family, customer oriented values"
We have implemented various methods and procedures to help us in achieving our vision. This section describes our clear service promise and our core values. As the majority of our work comes from word of mouth, an impeccable reputation is critical! If we are to service our aim to 'Become the leading wall coating company throughout the UK', we need to maintain our impeccable record. It is important to us, to be valued by our customers. The preservation and enhancement of our reputation depends on our good ethical conduct, a reputation we are immensely proud of. The principles that govern the behaviour and activities of Avant Coatings Ltd are reflected in our values and 'Our Service Promise'. As an exterior wall coatings company, we are aware like any other company of the impact on the environment. This is why we aim to reduce our carbon footprint with a range of measures implemented in our day to day working and provide wall coating solutions that actually absorb carbon from the atmosphere as it cures. I have been in the wall coatings industry since leaving school, all those years ago! If there is one vital thing I have learnt in my time, it is, that to 'Thrive and Survive', especially in the current economic climate, a good attitude and specific attention to quality and customer satisfaction is the key attribute of any business. We have earned our high reputation through hard work and the personal touch, going just that bit further to achieve excellent quality and good customer relationships from the top down. It’s a bold statement, but that's why we do well and that's why we will continue to do well in the future. Finally, if you are an existing customer, I am always available and welcome any call or email regardless of your query and more than happy to speak with potential customers in need of our services. May I take this opportunity to thank you for considering us when planning your exterior wall renovation and wish you all the best for the future.